You Get an Energy Audit, Philly Gets a Tree!Treephilly You Get an Energy Audit, Philly Gets a Tree! You Get an Energy Audit, Philly Gets a Tree! Amazing deal alert! Now through May 31, you can get a home energy audit for just $25 – that’s a 75% discount! – from the efficiency experts over at Alligood Energy. This local, family-owned company will visit your home and help you figure out how to make it more energy efficient, which will cut your electric bills and reduce your carbon footprint. Learn more about Alligood’s home energy audits here. But wait, there’s more! 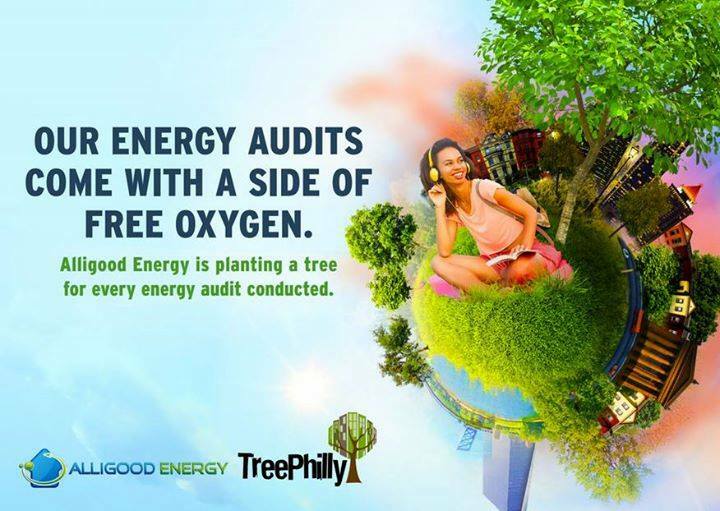 For every energy audit Alligood conducts this May, they will donate one tree to TreePhilly. That’s one more tree to grow Philadelphia’s urban forest, one more tree to beautify your yard, one more tree to clean our air. We are very excited about this partnership and grateful for Alligood Energy’s generous support. And really, what could be better? An affordable energy audit, a pathway to savings, and another tree for our urban forest. Sounds like a win-win-win to us! Schedule your energy audit online now, or call (215) 584-5141.